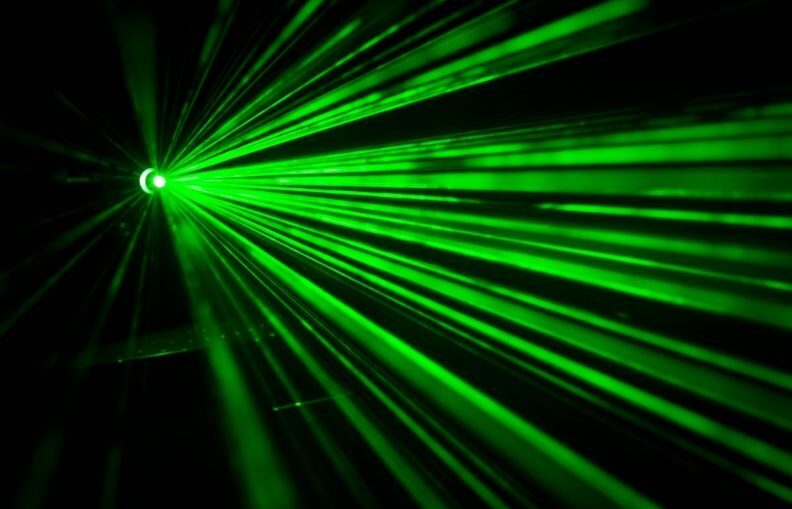 Researchers have developed a new device that can measure and control a nanoparticle trapped in a laser beam with unprecedented sensitivity. The new technology could help scientists study a macroscopic particle’s motion with subatomic resolution, a scale governed by the rules of quantum mechanics rather than classical physics. The researchers from the University of Vienna in Austria and the Delft University of Technology in the Netherlands report their new device in Optica, The Optical Society’s journal for high impact research. Although the approach has been used with trapped atoms, the team is the first to use it to precisely measure the motion of an optically trapped nanoparticle made of billions of atoms. “In the long term, this type of device could help us understand nanoscale materials and their interactions with the environment on a fundamental level,” said research team leader Markus Aspelmeyer from the University of Vienna. “This could lead to new ways of tailoring materials by exploiting their nanoscale features. The new method uses a light-guiding nanoscale device called a photonic crystal cavity to monitor the position of a nanoparticle levitating in a traditional optical trap. Optical trapping uses a focused laser beam to exert a force on an object to hold it in place. The technique was recognized by the award of the 2018 Nobel Prize in Physics to pioneer, Arthur Ashkin. The new device accomplishes a high level of sensitivity by using a long photonic crystal cavity that is narrower than the wavelength of the light. This means that when light enters and travels down the nanoscale cavity, some of it leaks out and forms what is called an evanescent field. The evanescent field changes when an object is placed close to the photonic crystal, which in turn changes how the light propagates through the photonic crystal in a measurable way. “By examining how light in the photonic crystal changes in response to the nanoparticle, we can deduce the position of the nanoparticle over time with very high resolution,” said Lorenzo Magrini, first author of the paper. The new device detects almost every photon that interacts with the trapped nanoparticle. This not only helps it achieve extremely high sensitivity but also means that the new approach uses much less optical power compared to other methods in which most of the photons are lost. Under vacuum conditions, the researchers demonstrated, for each detected photon, a sensitivity two orders of magnitude higher than conventional methods for measuring nanoparticle displacement in an optical trap. They also report that the strength of the interaction between the particle and evanescent field of the cavity was three orders of magnitude higher than what has been reported previously. Stronger interaction means that the photonic cavity can detect more information about the particle’s movement. Similar to several other research groups around the world, the researchers are working toward achieving quantum measurements. They are now improving their setup and working to substantially boost the device’s sensitivity. This would allow measurements to be performed under stronger vacuum conditions that increase a particle’s isolation from the environment. In addition to studying quantum mechanics, the new device could be used to precisely measure acceleration and other forces that might arise in microscopic length scales.